That’s the motto of this remarkable retirement residence, which boasts an ideal location around the corner from a charming heritage district and close to modern amenities. Our design challenge was to reflect this mix of old and new in a highly-functional building. 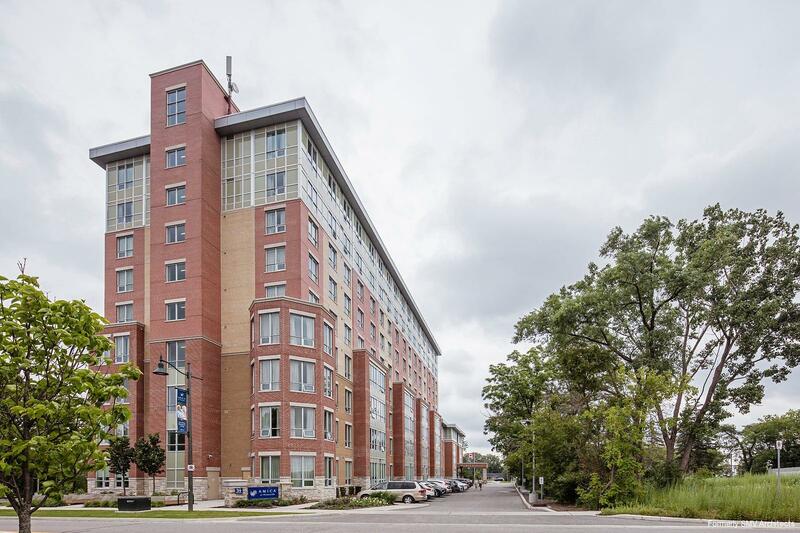 The use of varying materials and finishes adds interest to the nine-storey building and links it to the vintage structures in the neighbouring heritage district. This is the first of two towers joined by a four-storey link. The development combines independent living in a resort-style environment with assisted living and memory care to provide a continuum of care in this 280-unit development. 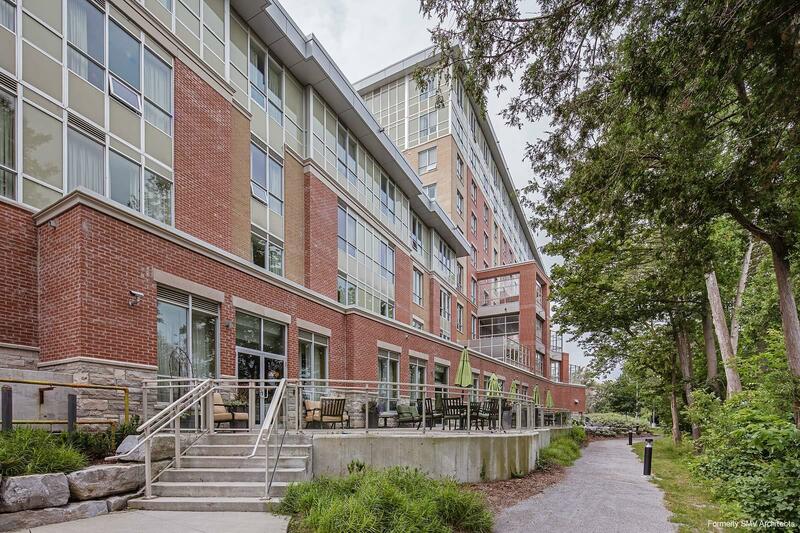 The gardening centre and the terrace dining area take advantage of the attractive landscaping that serves to visually connect the building to the surrounding Rouge River parklands and walking trails. 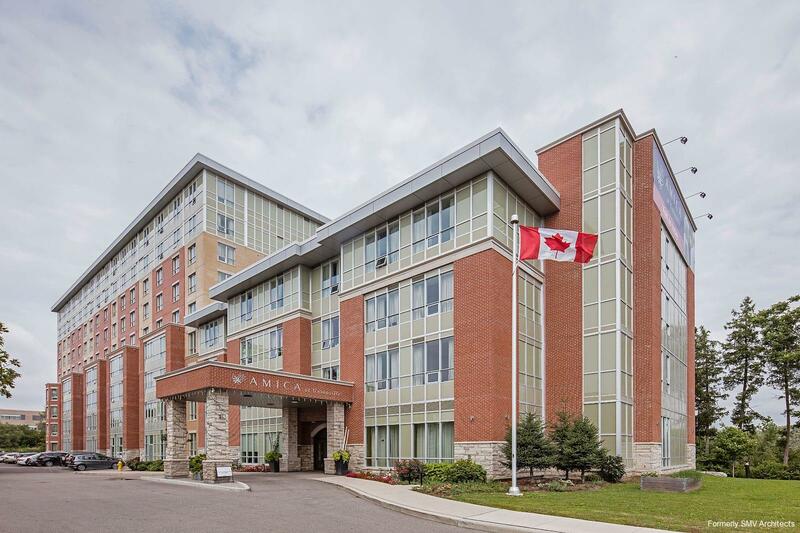 The Phase 1 building gracefully accommodates 150 suites comprising 75 independent (studio, one-bedroom, one-bedroom plus den, and two-bedroom), 50 assisted living units, and 25 secured memory care spaces. Amenities include a pool, fitness centre, tuck shop, multi-purpose room, TV lounge, home theatre, hobby kitchen, library, arts and crafts centre, beauty salon, and dining room.